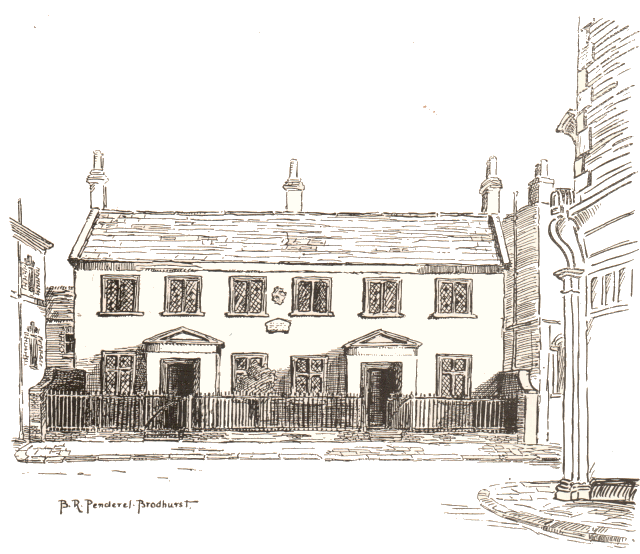 The Thrale Almshouses, were built on Streatham High Road next to the police station in 1832 by Hester Maria Thrale, Susannah Arabella Thrale and Cecilia Margaretta Thrale - the three remaining daughters of Henry Thrale. 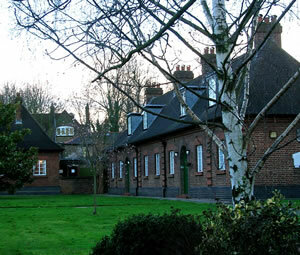 The almshouses provided subsidised lodgings for four poor widows or single women who had "attained an honest old age" in Streatham. In his 1920 book Dr Johnson and Mrs. Thrale, A.M. Broadley speculated that the expression "quatuor natse" is probably accounted for by the fact that the original parties to conveyance were the three daughters and Henry Merrick Hoare, who married Mrs. Mostyn, a widow at the time of its execution. 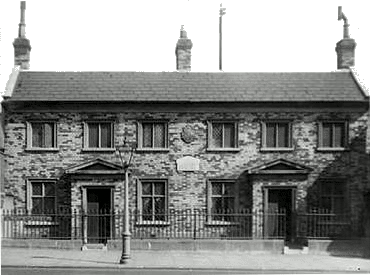 The almshouse were demolished in 1930 when the land was sold for redevelopment. In 1939, following the death of Lady Edith Robinson, the wife of the Streatham Conservative Association, it was decided to erect additional accommodation in her memory and £1,000 was raised which covered the cost of building two new almshouse on the Polworth Road site. The homes are still in use as social sheltered retirement housing, managed by the Thrale Almshouse & Relief in Need Charity. There are nine one bedroom houses for single women. Family tree for Susannah Arabella Thrale. Family tree for Cecilia Margaretta Thrale.